Everyone has experienced pain at least once in their lifetime. Pain is an unpleasant sensory and emotional experience associated with actual or potential damage or described in terms of such damage. Pain is not only a sensory experience, its relation with tissue damage may not be constant and it is often associated with affective and cognitive responses. 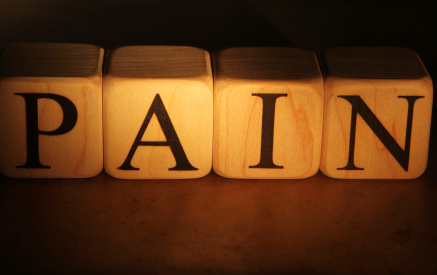 Pain is a complicated process that involves an intricate interplay between a number of important chemicals found naturally in the nervous system. The neural mechanisms by which pain is perceived are part of a process that involves four major steps: transduction, transmission, perception and modulation. The transduction and transmission steps relate to the neurochemical signals or impending tissue damage (nociceptive stimuli). Nociception is the physiological process of activation of specialized neural pathways, specifically by tissue damaging or potentially damaging stimuli. Perception is critical to sensing pain. Modulation, either enhancing or inhibiting nociception, is often crucial to pain perception. Most pain management techniques probably mimic our body’s internal pain inhibition processes. A person’s emotions are an important source for pain modulation. Pain that is difficult to relieve probably results from enhanced nociceptive signals, sometimes fueled by the person’s emotional state. Most orofacial pain (pain the face and mouth), probably over 95%, arises from disease of the teeth and is thus termed ‘odontogenic’. There is also non-odontogenic (non-tooth origin) causes and these can be of organic origin (neurological or vascular) or non-organic (functional or psychogenic). Is usually evoked by an external stimulus (normally food and drinks which are hot, cold, sweet, sour or sometimes salty). 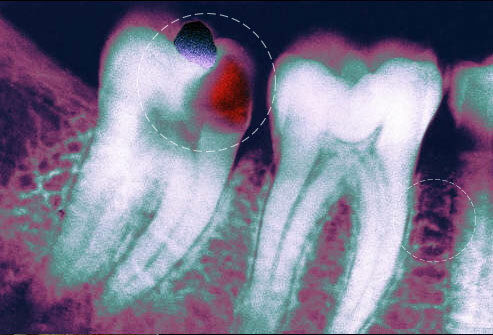 Although extreme changes in temperature may cause pain in intact, non-diseased teeth, pain evoked by natural stimuli usually indicates a hypersensitive tooth. Usually subsides within a few seconds of withdrawal of stimulus. May be poorly localized, often only to an approximate area within two or three teeth adjacent to the affected tooth. 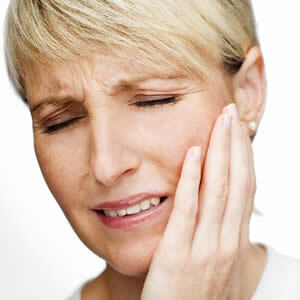 Sometimes the individual is unable to distinguish whether the pain originates from the lower or the upper jaw. Pain from affected posterior teeth is more difficult to localize than that from the anterior teeth. However individuals rarely make localization errors across the midline of the face. Tends to radiate or refer to one side of the ear, temple and cheek but does not cross the midline. Is more readily localized than pulpal tooth pain. The improved ability to localize source of pain may be attributed to the proprioceptive and mechanoreceptive sensibility of the periodontium that is lacking in the pulp. However although localization of the affected tooth is often precise, in up to half of cases the pain is diffuse and radiates into the jaw on the affected side.